A descendant of Pocahontas, the 17th-century Powhatan princess, said Sen. Elizabeth Warren (D-MA) needs to apologize for claiming to be Native American for political gain. Appearing on “Tucker Carlson Tonight,” Debbie White Dove Porreco said she was glad the Massachusetts Democrat finally took the DNA test, which she urged her to do back in May. "It did prove that she wasn't the Cherokee Indian that she was claiming to be for so long," Porreco said on the program Tuesday. "I think she's guilty of claiming she's an American Indian but has no proof -- and then [is] using it for applications for college and for political reasons." 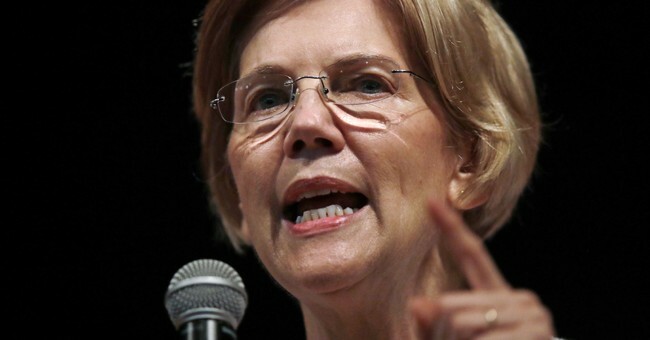 Warren released the results of a DNA test this week showing that she may be anywhere between 1/64th and 1/1,024th Native American—but the definition included Mexican, Colombia, and Peruvian DNA. “To make up for the dearth of Native American DNA, Bustamante used samples from Mexico, Peru, and Colombia to stand in for Native American. That’s because scientists believe that the groups Americans refer to as Native American came to this land via the Bering Strait about 12,000 years ago and settled in what’s now America but also migrated further south,” the Boston Globe explained about how Carlos Bustamante, a Stanford University professor, attempted to calculate how much Native American DNA Warren may have.